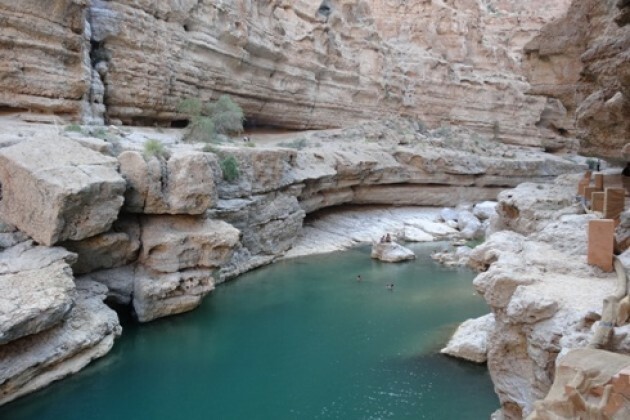 Today we are going to take a very exiting route along the Coast leading us to one of the most beautiful places in Oman. 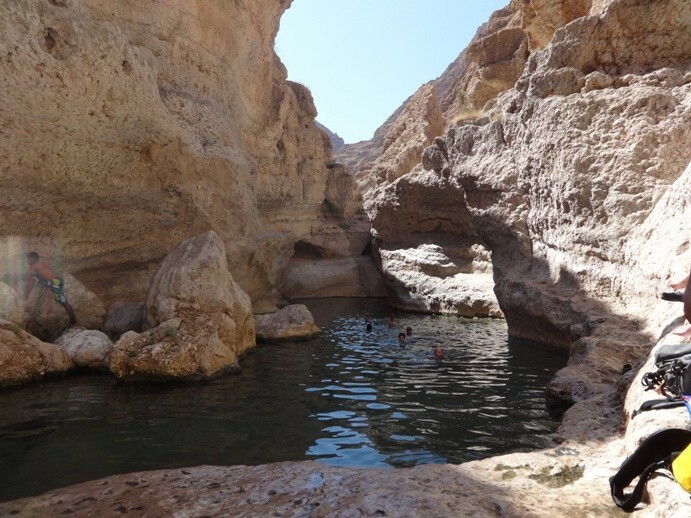 Wadi Shab - meaning gorge between the cliffs - is just that. 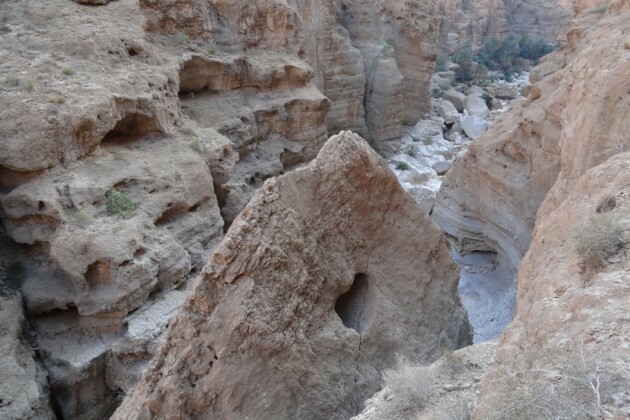 It is only accessible on foot, the path winds it's way up the wadi past caves, plantations, cliffs and deep pools with sceneray changing every step. 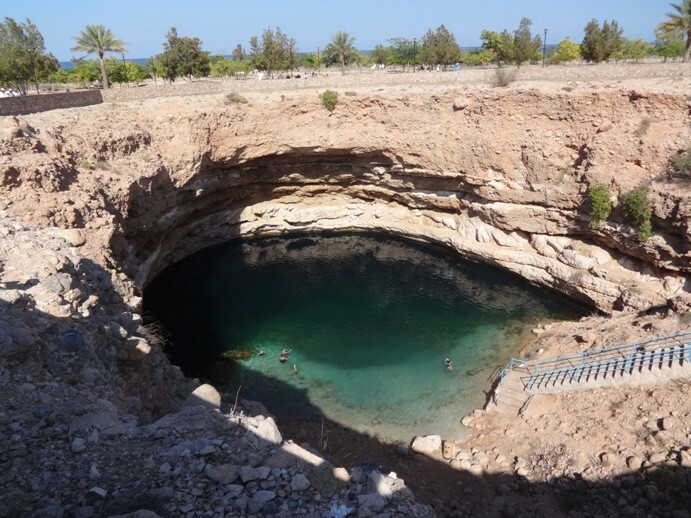 After about an hour's walk, swim under water for a couple of meters at the narrow crevice and you'll emerge into a secret cavern. Tour with private guide in Muscat. 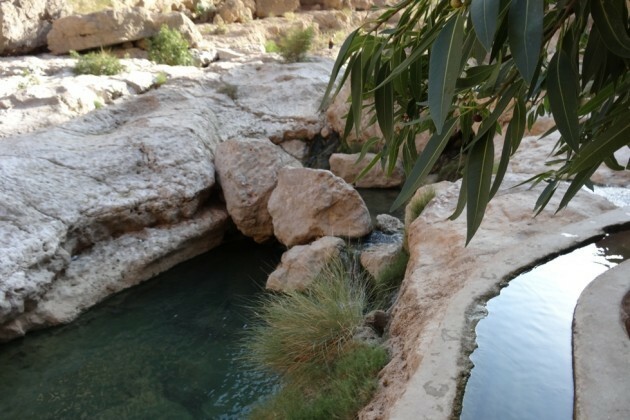 We are not going to miss our swimming in a clear water's pools today. Please make sure to have your comfortable walking shoes, sun glasses, hat, swimming wear and a towel. It is also recommended to have a waterproof photocamera (or at least to keep your camera and other staff in a plastic bag). 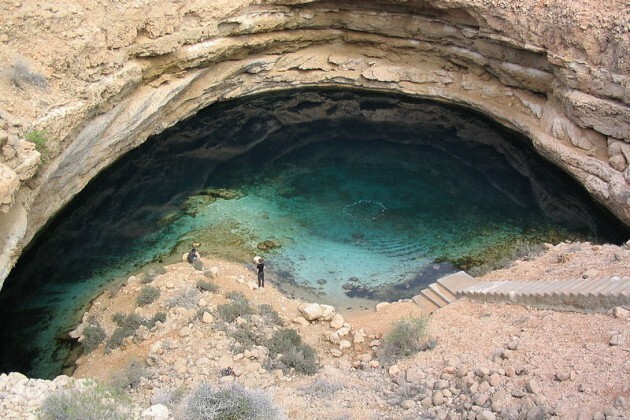 On the way back to Muscat we will stop at the Sink Hole, a natural depression or hole in the Earth's surface caused by karst processes. 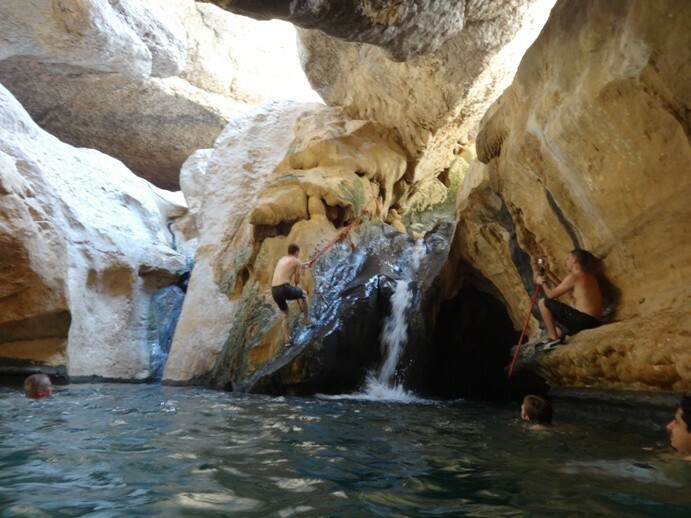 Excursion in Muscat. 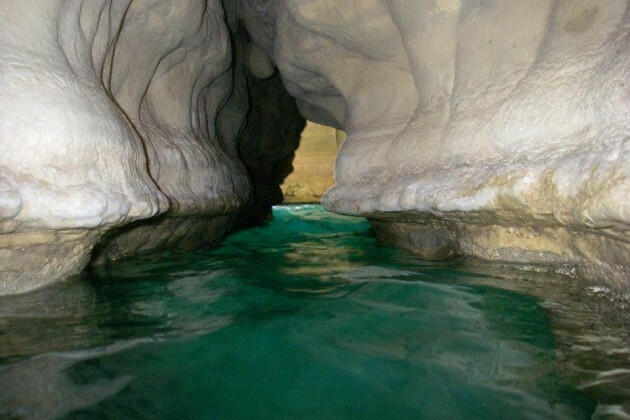 This tour is a great combination of adventure and local cultaural experience as well as a great opportunity of taken an unique photos. Do not miss it!